Check out her Facebook page as well and let her know I sent you. Tag me in a post. 5% discount on your first purchase. Use the coupon GIFT4U. Check out their Facebook page and tell them I sent you! 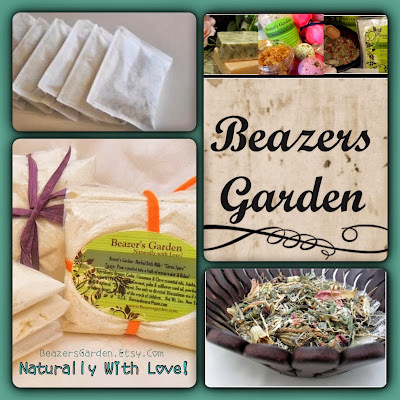 Beazer's Garden Take Free Shipping OR 20% off your order. I LOVE THESE!!! HAVE FUN!!! Fellow Etsy shop owner and dedicated customer to Beazer's Garden, Julia T, is holding a giveaway through her blog Puella Aeterna, which means "Eternal Girl" in Latin. My "Touch Me, Feel Me" Bath Gift set will be up for grabs as well as four other cool Handmade items from other Etsy shops! Contest starts tonight at Midnight, check the link here to get started. Good Luck! Hi Friends, this Summer has been one fast paced roller coaster of a ride! Changes in my family, one of my 'lil sisters is staying with me; a great new day job doing things I love, working with children and gardening; developments in my personal life, if it's not working out let it go...it's been much to deal with, but my family, friends and fans have kept me going. Beazer's Garden will be undergoing some changes soon. I've asked for your opinion on a few things in my product survey and am moving ahead on changing the look of my products. I've been looking for a company that makes sustainable, bio-degradable containers and have narrowed it down to a few places. They are both beautiful options and I hope to make a decision soon. Here are the last two for the night, based on soft tones found in nature. 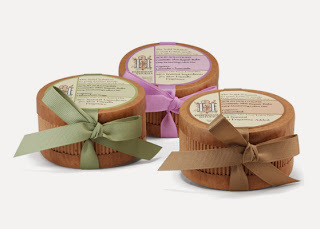 My herbal shower fizzies and herbal face spritz are featured. Collection 177 featuring jewelry, dresses, photography and my herbal bath & body oil in beautiful tones of red, orange and yellow. 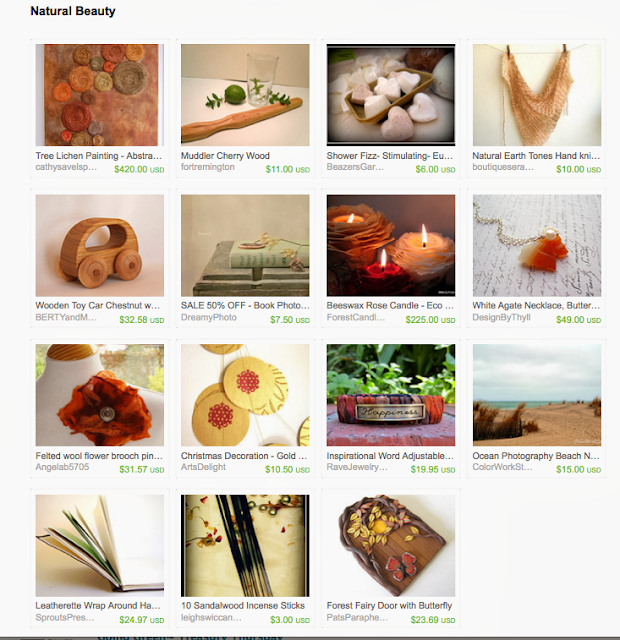 Curated by Elena Ch of flowerdeco, a shop specializing in Polymer clay art, jewelry, boxes and wedding decorations. 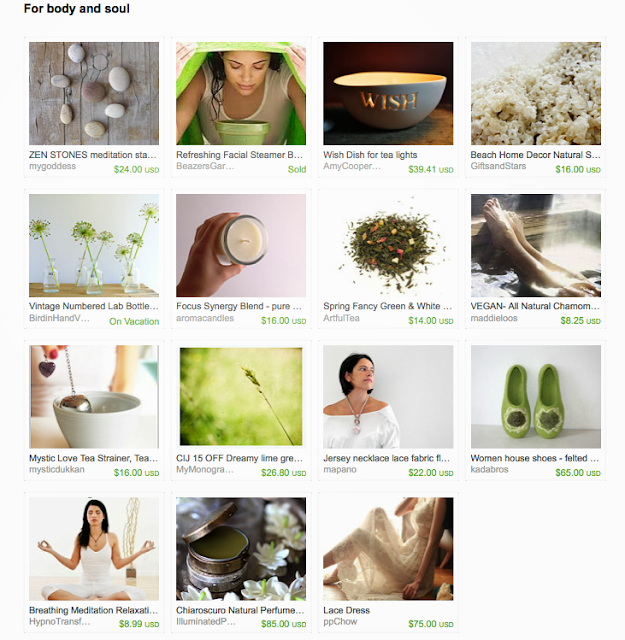 For Body & Soul has meditation CD's, soft and flowing clothing and my herbal face steamers, among other items for a soothing day at home. 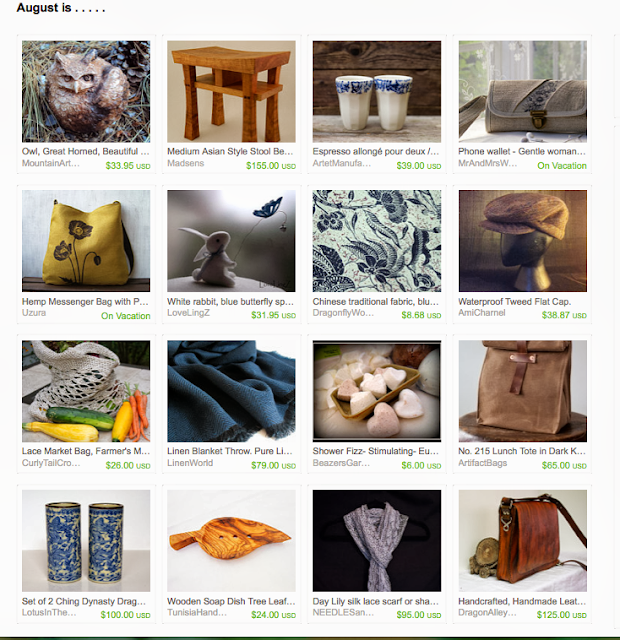 Curated by VitafromTasteVintage, a shop specializing in vintage items for the home. Spa Design, curated by Becky from GoodNeighborsCandle features beautiful heart shaped artwork, fragrant candles, photography, vintage, porcelain items for the home and my herbal shower fizzies. Becky says, "If I were designing a Spa these are the items I would purchase from my Craftori teammates to make it lovely."